The recent changes in our economic landscape have only exposed and intensified a phenomenon: an explosion in sharing, bartering, lending, trading, renting, gifting, and swapping. From enormous marketplaces such as eBay and Craigslist to emerging sectors such as peer-to-peer lending (Zopa), 'swap trading' (Swaptree), and car sharing (Zipcar), Collaborative Consumption is disrupting outdated modes of business and reinventing not only what we consume but how we consume. While ranging enormously in scale and purpose, these companies and organizations are redefining how goods and services are exchanged, valued, and created-in areas as diverse as finance and travel, agriculture and technology, and education and retail. 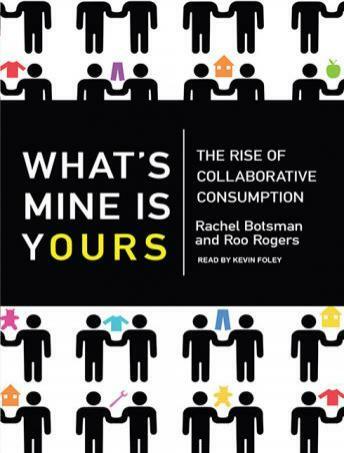 Traveling among global entrepreneurs and revolutionaries and exploring rising ventures as well as established companies adapting to these opportunities, authors Rachel Botsman and Roo Rogers outline in bold and imaginative ways how Collaborative Consumption may very well change the world.